How To Identify Fake Emerald Stone Seller? Home/ Gemstones/ Emerald/How To Identify Fake/Synthetic Emerald Gemstones Seller? 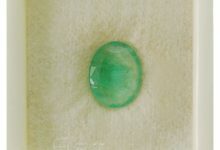 How To Identify Fake/Synthetic Emerald Gemstones Seller? People who have an affection for gemstones often worry about the authenticity of the gemstones they purchase. 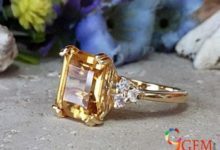 And, this fear or worry increases, many folds if a person is going to purchase precious stones alike emerald gemstone, blue sapphire, rubies, and yellow sapphire, etc. Because these stones are immensely expensive and they also carry celestial powers along with them. Hence, to obtain these divine powers one should only buy certified precious gemstones. 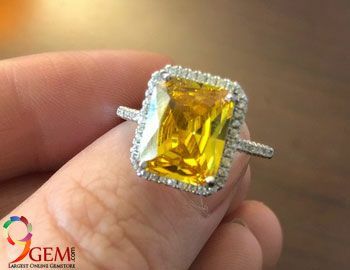 Unfortunately, nowadays it has become extremely hard to find a gem seller or distributor online who in reality sells original emerald gemstone or other precious stones. There are a plethora of gem sellers or manufacturer exists in the gem market which sells synthetic emerald gemstone or other precious gemstones labeling it as a natural or certified gemstone. 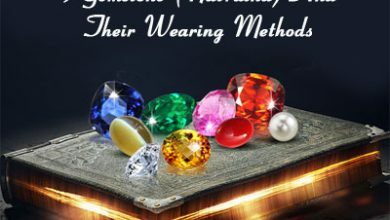 Thus, it really becomes a cumbersome task for a buyer to spot out accurately that who is selling natural emerald gemstone and who is selling fake or synthetic emerald gemstone stone. 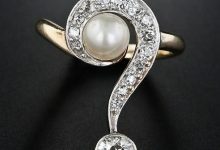 Now, after reading the above paragraph a question that might pop up in the minds of buyer that is it harmful to wear synthetic or lab-created emerald gemstone over natural emerald gemstone stone? So, here we would like to clarify that it is okay to go with colored emerald stones because these stones are attractive and less expensive as compare to the original emerald gemstone which is far more expensive than the lab-created emerald gemstone. 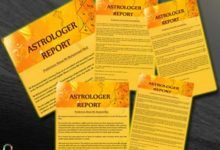 So the reason why we are writing this guide is to at least make you aware of the kind of stone you are paying for. Secondly, there is the numerous number of fake gem sellers who deceive their customers by selling them fake stones labeling it as a precious gemstone. 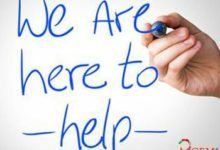 Hence, it becomes essential to expose such kind of gem sellers or manufacturer in front of you and let you be conscious of the kind of stone you are paying for. 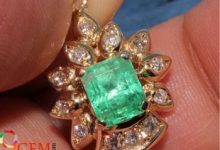 Hence, for the sake of buying emerald stone you can go through these basic factors to decide whether an emerald gemstone is genuine or fake. Read More: Emerald Stone – The Perfect Stone For Finding True Love In Your Life! A synthetic or lab-created emerald gemstone will contain several inclusions that can be seen with the naked eyes or using a magnifier. 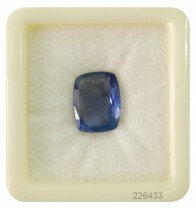 One of the most common types of inclusion that you will encounter in synthetic sapphires is tiny bubbles. You will see some tiny bubbles flaunting around the surface of the stones during a close watch. 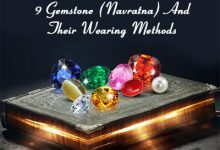 Contrarily, in case of genuine emerald gemstone you won’t spot any inclusions with naked eyes, however, with the magnifier you may spot some inclusions but that too in minimal numbers. The hardness of emerald gemstone is around 7.5 on the Mohs scale which means that stone is extremely hard and it is almost near to impossible to spot any scratch on it. On the other hand, a synthetic emerald gemstone is manufactured in a lab using glass material. So gentle rubbing of this stone against a hard material would impose scratches over the stone. As previously been mentioned that the emerald gemstone is a rigid gemstone. So, it is extremely hard to cut this stone in different shapes or styles. On the other hand, a synthetic or lab-created emerald gemstone is composed of glass so it can be easily molded into different shapes or styles. So, a natural emerald gemstone has more complex cuts that are sharp and crisp. While buying emerald gemstone does consider the price of it. Since a natural emerald is rare, so, arguably it will be more expensive than synthetic emeralds. Hence, if a gem dealer knowingly or unknowingly does not disclose the identity of stone to you that whether it is a natural emerald or synthetic emerald stone but the price is relatively low. Then, it is most likely a synthetic emerald. However, most of the gem sellers try to deceive their buyer by selling them fake emerald gemstone as natural emerald stones. Thus, one should aside of price also pay attention to different aspects of the emeralds. A natural emerald gemstone will contain few inclusions or flaws because these are natural and untreated gemstones. So, it is quite acceptable to spot a few minor inclusions around the surface of a real emerald stone. 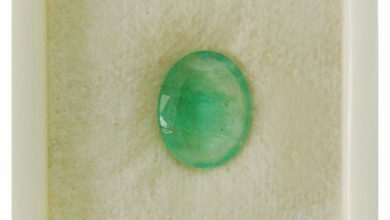 On the other hand, a synthetic emerald will be made in labs and intensively heated and treated so it is hard to find any inclusions within it. To check out whether emerald is genuine or not put this stone in your palm for some time. If by keeping this stone in your palm its temperature increases gradually, it means that emerald is synthetic or not real. On the contrary to this, a natural or genuine emerald gemstone temperature will remain cool the touch during this entire process. Since a synthetic emerald gemstone is treated or heated in the lab rigorously for a specific period of time. Hence, it will obtain immense brightness and luster as compared to real emerald gemstones. A real emerald gemstone is mostly not being treated or heated to upscale its color and appearance. While the natural emerald gemstone will appear beautiful but possess less shine than synthetic emeralds. 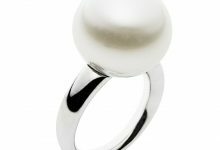 9Gem.com sell online Natural Certified Gemstone at the best price. Take a look at the store. www.9Gem.com.